In April, 2014, over 200 girls were kidnapped at school in Chibock, Nigeria by the terrorist group Boko Haram. Boko Haram is a Muslim extremist group who oppose western education. The outrage at the lack of attention by the Nigerian and international leaders to the missing girls led to the social media #BringBackOurGirls movement. Everyone from Michelle Obama to Jessica Biel posted a selfie holding a piece of paper with #BringBackOurGirls. Over a year later, the attack is widely known and talked about but what change did the hashtag bring? Boko Haram, according to an Amnesty International report, has abducted over 2,000 women and girls. 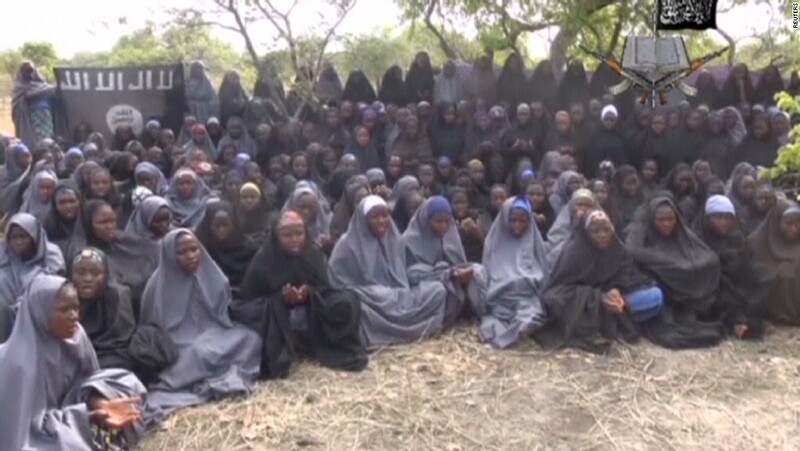 The Chibok schoolgirls are not the first or last to be taken by the terrorist group. However, the social media movement helped bring attention to the major violations of human rights and international law going on in Nigeria at the hands of Boko Haram. The girls are still missing, over 500 days later. Some of the girls are married off, others taught to fight, others killed, raped, and sold. What is the international community doing to resolve the issue? The ICC has been investigating Nigeria since 2013 for failure to deal properly with the crimes committed within their boarders, but has yet to bring anyone to justice for the atrocities that Boko Haram have committed in Nigeria. The Security Council added Boko Haram to their Al-Qaida sanctions list. This makes it more difficult for supplies to be sold to the group without repercussions on suppliers. 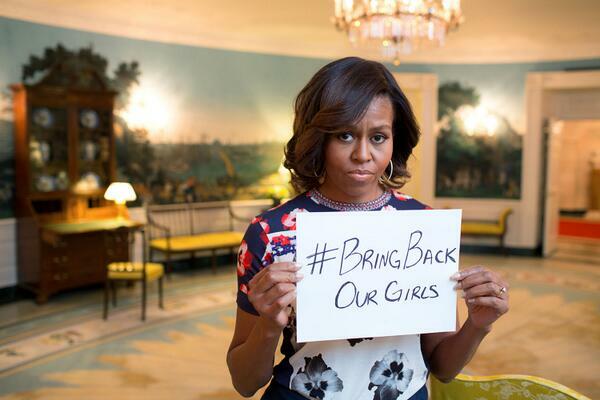 While Boko Haram is weakened, they are still active and still have our girls. These war criminals need to be stopped with more action than is currently being taken. While President Johnathan Goodluck was in office, he did little to address this issue. Now that a new president has been elected the international community needs to step up and take action. Under the doctrine of Responsibility to Protect, the international community has a duty to take more effective action to resolve these war crimes and human rights violations. I do not necessarily advocate violating Nigerian state sovereignty, but the state has not publically denied help and therefore may consent. Issues such as these quickly cross international borders and become international issues. When terror strikes a nation so forcefully, as Boko Haram, people flee their nation to find more stable living conditions. The issues in Nigeria have directly affected the surrounding countries, Chad, Cameroon, and Niger, with displaced peoples and fear that Boko Haram may cross the Nigerian boarder to attack their schools. Kidnapping women and children civilians violates Common Article 3 of the Geneva Convention of 1949, Article 8(2) of the Rome Statute of the International Criminal Court, and several other multilateral human rights treaties. The war crimes and human rights violations need to be stopped, not just acknowledged. What is the next step? Do you think that the international community has a duty to stop the human rights violations going on in Nigeria? If not, when is the issue big enough to demand international help? The International community does have a duty to stop human rights violations. There has to be a delicate balance between intervening with some type of help and preserving state sovereignty. What has happened in Nigeria is unacceptable and Boko Haram needs to be punished for his crimes against humanity. The question is what is the best way to go about finding him?